Successfully Added 2200mAh External Battery Case - For iPhone 5/5C/5S (Orange) to your Shopping Cart. 2200mAh External Battery Case designed to be used specifically with iPhone 5, 5C or 5S as a way of guaranteeing your phone always has power and protection. In life you’ll find that you will need extra power or energy to do something while other situations may encounter you to use or have protection and your brand spanking new iPhone should be of no exception. Using this external battery case with a capacity of 2200mAh, you can provide your iPhone the extra power if it ever runs low as it will recharge your phone. 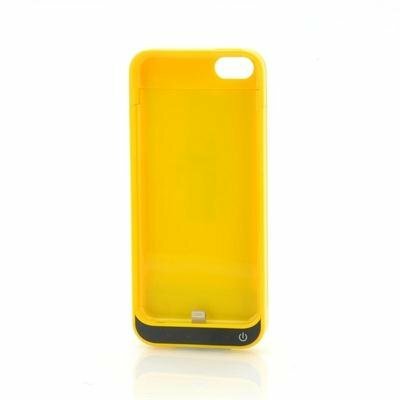 This case detaches into two pieces so you can easily insert your iPhone before reattaching and sealing the phone in its protected shell, however access to the screen and buttons remain. Also there are parts of the case that have been molded so that the rear camera can still take photos while being protected by this orange case. Another advantage of this case is that it has a kickstand; consequently you can watch movies in comfort without having to hold your iPhone.. 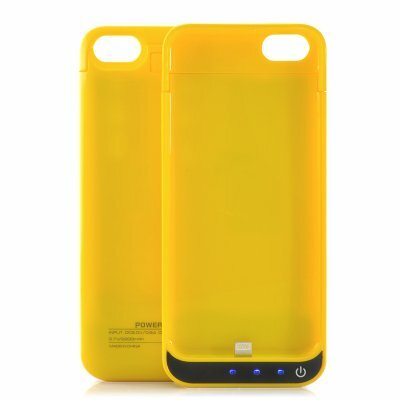 In stock now, this external battery case for iPhone 5/5C/5S can now be purchased at an ultimate low wholesale price and with our next working day shipping promise. Brought to you by the leader in wholesale phone accessories, Chinavasion.